Ed Fitch was a Gardnerian Wiccan. In 1969, together with Joseph Wilson, Thomas Giles, Tony Kelly, and others, Fitch began circulating an “Outer Court Book of Shadows”, which initially was intended as an introduction to Gardnerian Wicca, and his Pagan Way materials, which ultimately were used as an exoteric alternative to traditional Wicca. The Pagan Way system was open (i.e., required no initiation). It was also nature-oriented, emphasizing the celebration of nature over occultism and magic. The materials were placed in the public domain to gain the widest possible distribution. They were first published in The Waxing Moon, later called The Crystal Well. In 1974, the Pagan Way materials were published by Herman Slater in A Book of Pagan Rituals, but Slater did not identify his sources. The use of the term “Pagan”, instead of Wiccan, contributed to the conflation of Neo-Paganism with Wicca. In some cases, the Pagan Way acted as entry point into Gardnerian Wicca. However, the Pagan Way became a tradition in itself, with autonomous Pagan Way groves spreading across the country. The Pagan Way tradition has been called the “American Tradition” by Aidan Kelly and James Lewis. Ed Fitch, Joe Wilson, and Gwydion Pendderwen organized three sister organizations: the Pagan Way on the East Coast of the U.S., Nemeton on the West Coast, and the Pagan Movement in England (which later became The Pagan Federation). Nemeton later became part of the Church of All Worlds. The Church of All Worlds adopted the Pagan Way liturgy which further facilitated the spread of the Pagan Way. The Pagan Way was a member organization of both the 1972 Council of Themis and the 1972 Council of Earth Religions, two of the first attempts to create umbrella Pagan organizations. 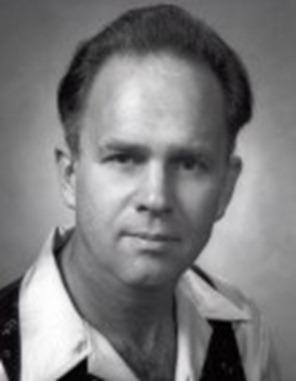 Ed Fitch also attended the 1974 First Pagan Ecumenical Council and was a signer of the Covenant of the Goddess. The Pagan Way groves began to dwindle and disappear around 1980. According to Aidan Kelly, with the formation of the Covenant of the Goddess in 1975 and with the spread of the Pagan festival movement, there came to be less and less need for the Pagan Way. However, by that time, the materials had been so widely circulated, they had become part of an amorphous body of Neo-Pagan rituals and writings that so many Neo-Pagans today are familiar with, but few know the source of. Ed Fitch relates attending a Neo-Pagan wedding years later where he heard his liturgy being used, but it was attributed to an ancient pagan source.